Israel is one of our favorite places to go visit. Over the years we have made friends with commanders, soldiers, police officers and civilians. We met Moshe Ya’alon in his conference room and had a great meeting with him. 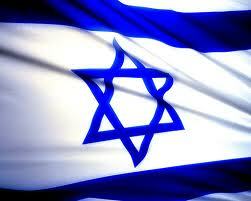 He is very tenacious about the authority of Israel to govern itself without interference from other countries. Knowing a little bit about his parents helped me to realize where he got his toughness from. His father was a soldier and his mother was a Holocaust survivor and fought against the Nazis in WWII. I support Mr. Ya’alon and Israel 100%. We also met Morty Dzikansky, the NYPD Jewish Police Officer who helped hunt down terrorist. NYPD made a counter terrorist unit within NYPD. Morty was part of this unit and assigned overseas duty in Israel to gather intelligence. It was great to talk with him at the Givati Special Forces Family event that we attended in Israel. We met many commanders in out travels in Israel. Great men who are leading a great group of soldiers. We were on a base in northern Israel on the border of Lebanon and the soldiers were very good to us. An Israeli intelligence officer gave us a briefing and a pair of binoculars to look over into Lebanon. We also went to a kibbutz near the Gaza strip and saw all the rocket holes caused by rockets shot from Gaza. We also met many of the parents of fallen Givati Special Forces soldiers at their annual event for fallen Israeli soldiers from the Givati. Glad for our friends in the Holy Land.